Show off your merchandise with display racks and store fixtures from American Commercial Supply in Covina, California. As we always guarantee satisfaction, our company also provides custom fabrication for racks and fixtures to better suit your needs. With this service, we can design, develop, and produce custom racks and fixtures for retailers that have a special need to display products. Custom printing is included for this type of service as well. Because you would be going straight to the manufacturer, you can have your products finished quicker and tailored to meet your specifications while saving more in the process. 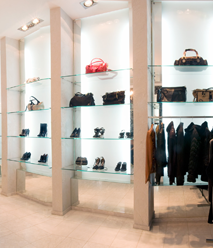 Contact us today in Covina, California, for well-made display racks and store fixtures.